When we were kids we easily bought into myths that helped us understand the world better. We believed in Santa Claus and the Easter Bunny. The Tooth Fairy would help lessen the trauma of teeth falling out. And the stork brought our new baby brother or sister, or the new addition to the neighbor’s family. But these myths fell away as our understanding of the world increased. They were there only when we didn’t fully understand what the world was about. The myths around digital transformation are a little like the myths of childhood. 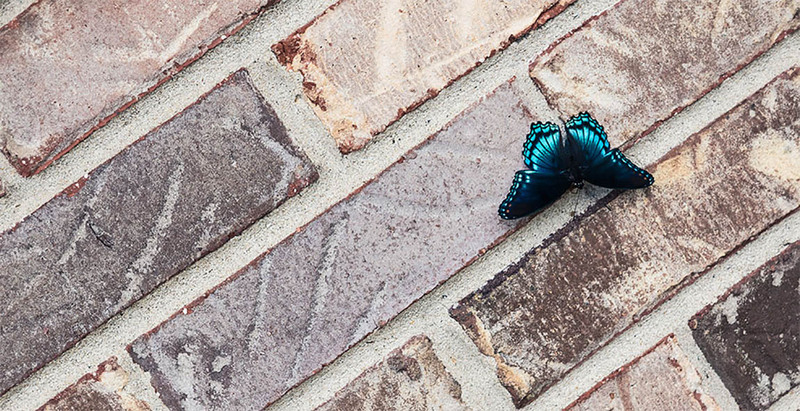 They exist when we don’t fully understand what transformation is, or does, for a company. But unlike childhood tales, the myths around digital transformation can create problems as our projects mature, or even prevent a company from embarking on their transformational journey. This isn’t about installing a new server, and it’s not about adopting a new programming language. Digital transformation is about moving your business – all of it – to a digital platform. But more importantly, it’s about being able to serve your customers better, faster, and more efficiently. Think of the transformation occurring in the field of healthcare. Hospitals and doctors are moving to electronic medical record based systems from massive amounts of paper records. While the impetus for this move may have been new government regulations, the end result is better patient care. It isn’t just health care where customers benefit from a company’s transformation. According to the Digital Transformation Executive Study, 70% of leaders have seen significant value in customer satisfaction and engagement because of their digital transformation efforts. It’s true that digital transformation can make automating tasks easier. Building connections between systems, connecting previously siloed data sources, and accelerating the development of integrations means less chair turning and less tedious work for IT. When done correctly, it also means greater control and self-service for the business. What it’s unlikely to mean, especially for IT, is a reduction in workforce. Corporate IT already suffers from a resource gap that is only increasing as companies become more dependent on technology. With team members over-burdened with grunt work and day-to-day tasks, no room is left for innovation and improvement. Instead of creating an environment where fewer resources are needed, digital transformation frees resources up to do challenging, interesting, and innovative work. It’s true that many companies are considering digital transformation initiatives because of new technologies. The number of connections to devices thanks to IoT and mobile make it seem like new technology is needed to support the next wave of innovation in order to stay competitive. The reality is that digital transformation is about more than getting smartwatches and sensors to talk to IT systems. It’s about interconnectedness of all of your systems, including the existing ones, the difficult to integrate ERPs, and even legacy communications and technology like B2B/EDI. For instance, as part of their digital transformation initiative, a ModusBox client wanted to connect their new warehouse automation system with the core of their business, their existing ERP. There was no need to change out the core system to accommodate the new. Just like buying a FitBit won’t automatically make you lose weight, digital transformation won’t fix issues with internal communication or remove the need for solid partnerships. In fact, digital transformation is about transforming the entire company and opening channels up for stronger partnerships between IT and the rest of the organization. IT does not exist in a vacuum, and the most successful IT leaders know this. The point of technology is to solve problems for the larger business, and the enablement of connections between technology systems that a transformation initiative provides only increases the need for IT to understand what their customer – the business – needs to be successful. Transformation also means that line-of-business IT teams have greater control and more access to self-service. IT ceases to be a roadblock for LOB initiatives, but controls and security defined by the IT organization still need to be followed. Therefore, transformation requires that players throughout the business partner closely for organizational success. Many of the articles written about who is benefiting from digital transformation and open APIs are B2C companies. For instance, Ticketmaster earned a lot of press when it announced the launch of its open APIs, making it possible for 3rd parties, like Facebook and Spotify, to include ticket purchases as part of their user experience. Like a lot of technology news, you hear the most about B2C implementations because they’re, well, sexier than B2B solutions. But it’s the B2B implementations that make the world go ‘round. You also hear less about B2B digital transformation because, despite recognizing its importance, B2C companies are ahead of B2B ones. According to a McKinsey report, B2B companies are less digitally mature than their B2C counterparts. Yet the top 25% of B2B companies realized the difference their efforts made in terms of profits. These companies, the McKinsey study found, saw 3.5% more revenue and were 15% more profitable than the other B2B companies that participated. B2C companies aren’t the only ones who want to be profitable. Don’t let the tales others tell about digital transformation hold you back from moving your company forward. If you’re interested in finding out how to start on your transformational journey, or how to accelerate the improvements you’ve already started, reach out to us. From architecture to implementation, ModusBox’s team is made up of the top experts in the field.